The rescue ship carrying 629 migrants which has been left stranded in the Mediterranean for two days will now be allowed to dock in the Spanish city of Valencia. 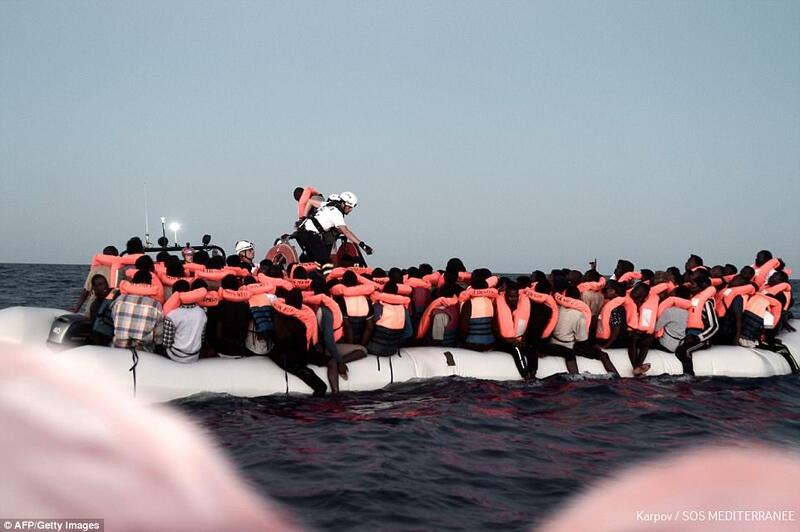 The Aquarius rescued hundreds of migrants, including 134 children and seven pregnant women, trying to cross the Mediterranean from Libya on Saturday, but ended up adrift off the coast of Sicily as both Italy and Malta refused to let it dock. Earlier today, Italy's interior minister Matteo Salvini threatened to bar all rescue ships from docking in Italian ports unless Malta would take on the Aquarius and its passengers. 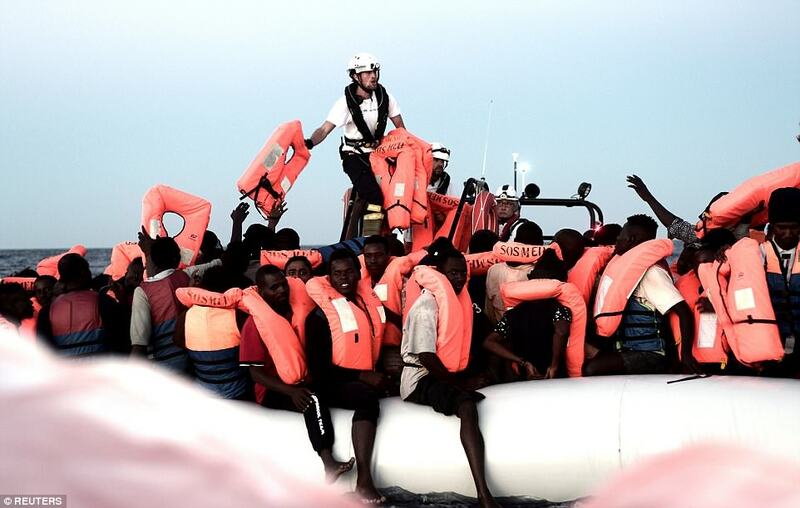 Salvini, leader of the anti-immigrant League party, said that while saving lives was a duty, 'transforming Italy into an enormous refugee camp is not', and demanded that the ship should be allowed to dock in Malta. 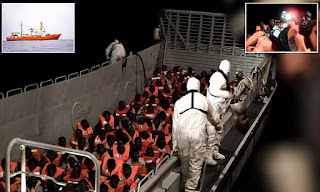 Salvini reportedly sent a letter to the Maltese authorities saying he would 'be forced to close Italy's ports' if the 629 migrants weren't allowed to land at Malta's capital Valletta. Italy's interior ministry said they had so far been unable to confirm the existence of the letter.